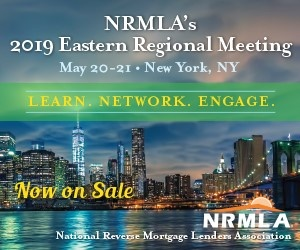 Landmark Network, Inc. on Wednesday introduced a new support system for wholesale partners, with the goal of linking lenders with key executives during tricky parts of the loan-closing process. The Van Nuys, Calif.-based appraisal firm calls the initiative “Wholesale365,” a new program that allows wholesale account executives and underwriters access to top Landmark employees 365 days of the year. “My number-one source of businesses has always been wholesale account executives that refer their client base,” Landmark CEO and founder Erik Richard told RMD. As a result, the company had been planning to develop new programs to target wholesale partners, including this most recent push toward round-the-clock access. To pull off the new program, Landmark added no new employees; instead, the team shuffled its internal processes to ensure that a member of its leadership staff will be “on call” around the clock, Richard said. “We decided, internally, that the best way to support wholesale lenders was to give them direct access to senior management from the get-go,” Richard said. The initiative also allows account executives to view turn-time data and updates in real time, with similar information available to underwriters. Richard pointed to last-minute questions from underwriters, issues with specific requests, and updates about the delivery timeframe as reasons account executives might want to be in touch with their appraisal firm at any time of day. The move caps off a year in which the appraisal firm also launched its own construction division to focus exclusively on new properties, citing increased demand for appraisals related to newly built homes.